Stan Bush calls these guys "awesomely strange." Yup, that about sums it up. 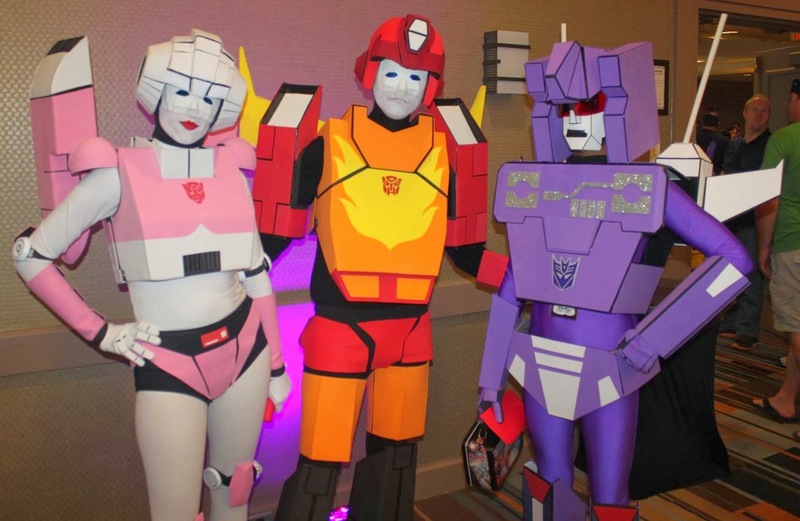 The Cybertronic Spree perform covers from the 1986 animated movie dressed as Transformers. Aside from the fact that the costumes are just a little unsettling, I'm giving this a thumbs up because it takes balls to do this, and of course it's all in good fun. Check out their website here, and here's their cover of "The Touch"
And here, they get a surprise visit from "Weird" Al who actually has the impression down pat.